It’s hard to say how truly controversial an article written on poetry can really get, since the controversy will always be limited to the interested few. So is the case with a column published by the Chicago Tribune titled “Where competency ends, poetry begins.” And subtitled “Here’s a radical idea: a little imagination would go a long way.” It stirred up many in the poetry world, but that is still a relatively small crowd. The bad Bad Verse didn’t bug me; it was often amusing. What depressed me was the incessant influx of what I think of as competent verse — mediocre poetry produced by mediocre poets produced (usually) by MFA programs. He then gives the reader a few examples of what is bad MFA poetry and what is good poetry. He’s not very nice about it, but he’s probably right. The thing is, nowhere is his column more effective than in the title and subtitle. Sometimes, it seems, Twitter is the way to go. 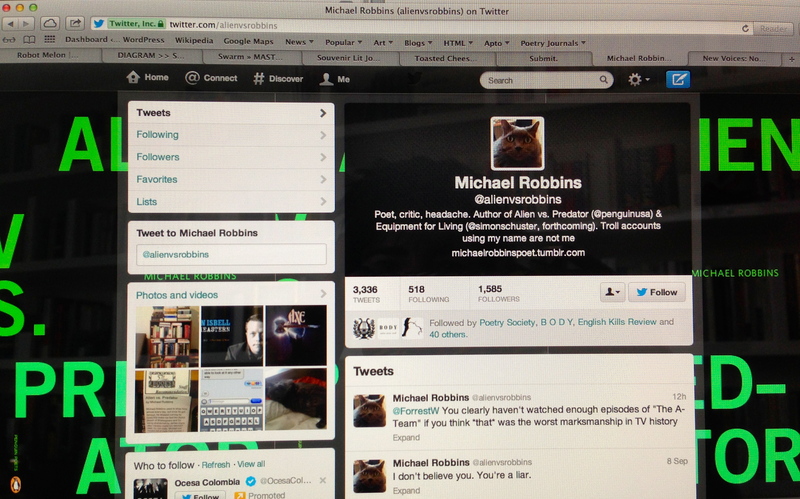 Pictured above is the author’s Twitter page. It’s funny because his Twitter name is @aliensvsrobbins, referencing his book of poetry Aliens Vs. Predators. 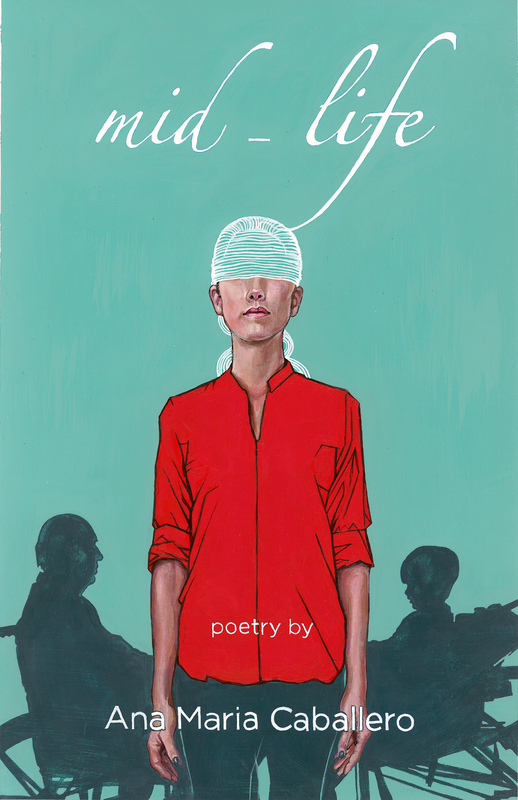 A few of the author’s poems can be found on the Poetry Foundation’s site. They are good, but not as good as the movie. I read the 3 poems on that site, and while I appreciate the rash and worldly, modern references in his work, it seems all too cryptic to me. You’d have to sit there analyzing and inventing explanations for his words and phrases, and then I think you lose the beauty of a direct, clear poem that hits the heart and mind quickly, or at least somewhat quickly.